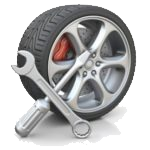 Best Autocentres offer a wide variety of services. Please make a selection from our main offerings. If the services you are looking for are not listed here, or you need something a bit more specialised, then please contact us and we’ll do our best to help you. Everyone likes something for FREE, and we like to make our clients happy which is why we put together our FREE 10 point vehicle check.